Koenigsegg Regera, 1500 HP Car With No Gearbox. 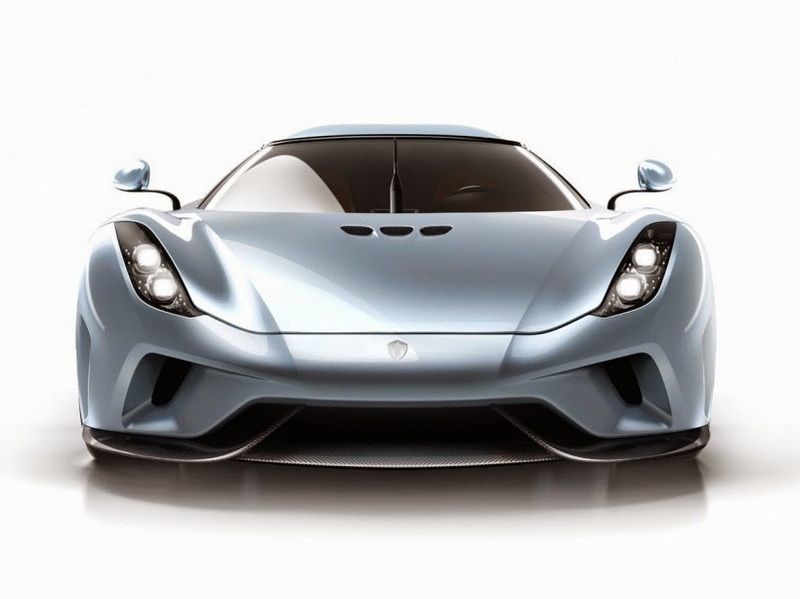 TECHNICAL Koenigsegg unveiled at the last Geneva Motor Show its hybrid supercar Regera. It manages to pass 1500 hp to the rear wheels without gearbox. Here's how it works. Once charged, the Koenigsegg Regera can travel 50 km in all-electric mode. Koenigsegg not afraid of anything. The small Swedish manufacturer (and last independent Swedish manufacturer) is always higher and louder for its sports cars. Forget the Porsche 918, McLaren P1 and LaFerrari. With a total power of 1500 hp, the Koenigsegg Regera (meaning "rule" in Swedish) exceeds them all. Not content to display surreal performance (0-100 km / h in 2.8 seconds, 0-400 km / h in 20 seconds, top speed of 400 km / h), it is also the luxury of view autonomy in all-electric mode of 50 km, significantly higher than that of its rivals. All for more than 2 million. The manufacturer has not yet revealed the consumption figures on the European cycle NEDC measures, but there is little doubt that this car could almost pass for a green role model, due to a very favorable protocol for hybrid rechargeable (read our article the truth about the appetite of our cars). Of course, once the discharged battery, it should end up with figures close to his sister Agera RS, engulfing much as 14.7 l / 100 km. Miracles do not exist. The main feature of the hybrid powertrain Regera Koenigsegg, Koenigsegg called Direct Drive, holds in his absence gearbox. On a traditional car, the gearbox is used to compensate the physical limits of the engine, unable to start at low speed while bringing the car to its maximum speed. The electric motor, which has a constant torque available from low revs, does not suffer from this problem. In our case, electricity thus complements the engine (V8 twin-turbo 1,100 hp): two electric motors of 180 kW (245 hp) each driving a rear wheel are used to start the car. The V8 can come into play only advantage of 50 km / h, sufficient speed so that it can then connect to the rear wheels via a hydraulic coupler. Cleverly, Koenigsegg has managed to combine the characteristics of thermal and electric motors to deliver a heavy gearbox (81 kg over a Agera RS). This weight saving allowed to install a lithium ion battery-phosphate provided by the Croatian Rimac (88 kg), without significantly increasing the car. It accuses 1420 kg on the scale, compared with 1675 kg of a Porsche 918 Spyder. The idea of ​​doing without gearbox and use an electric motor for starting the car is not new. Mitsubishi Outlander PHEV (read our test Mitsubishi Outlander PHEV) and Honda Accord Hybrid (read our article on Honda hybrids) are already based on this principle. It merely requires to have two electric motors, one capable of functioning as a generator directly connected to the heat engine to recharge the battery. If the charge level of the latter falls below a critical threshold, it would be impossible to start the car. As a Mitsubishi Outlander PHEV or a Honda Accord Hybrid, the Koenigsegg Regera has no gearbox. Electric motors are responsible for starting the car up to a speed where the engine can directly drive the wheels. On the Koenigsegg Regera, this is a third electric motor (synchronous permanent magnet axial flux provided by Yasa, like the other two) that simultaneously act as generator booster. Fort 160 kW (218 hp), he participated in the combined power of 1500 hp. Directly linked to the crankshaft of the V8, it can participate in the propulsion in all-electric mode. In this case, it will be content with two motors connected to the wheels, developing a total of 360 kW (490 hp). Certainly far from the 1500 hp combined figure seems rather flattering. However, this is a peak power available temporarily. That is to say that beyond 30 seconds at full load in electric mode (which requires both a long straight and a certain amount of courage), the power drops to 176 hp ... Either nine times less than the combined total power. This proves once again that the performance in electric mode plug-in hybrids are often very limited compared to the total capacity of the car. If all finally seems relatively classic in its design philosophy, the Koenigsegg Direct Drive should offer the best possible performance, whether in terms of acceleration to top speed; no question of compromise on a report of a misnomer reduction, which would leave a few tenths on the exercise of 0 to 400 km / h. This is a known issue on similar systems from Mitsubishi and Honda. At startup, the 490 hp of the two motors connected to the rear wheels seem more than sufficient. Traction forces, it seems impossible to pass a larger cavalry ground. In addition, to pull the car to start, the immediate availability of torque is the determining factor. Beyond 50 km / h, the engine previously started by the electric motor connected to the crankshaft of the V8 is coupled to the rear differential. Skating converter (a phenomenon that adds a reduction ratio of around 4: 1) enables it to deliver its maximum torque until full lock on the differential, with a reduction ratio of 2.85: 1. This more or less corresponds to the sixth or seventh report of the Agera RS, which allows the V8 to drive the Regera to its maximum speed of 400 km / h.
The lower top speed of Regera compared to Agera R and RS (data for more than 420 km / h) can be explained in part by a shorter final report and also by the presence of engines electric. Indeed, if they participate in the impressive total of 1,500 hp advertised on the data sheet, they are hardly involved in propulsion at very high speed, where they would empty very quickly the battery. To these paces, so these are the 1,100 hp V8 (a little less than 1,160 hp of the Agera RS) who officiate almost alone. These must increasingly deal with magnetic drag of said electric motors. Rather than top speed of Regera, the manufacturer prefers also highlight its impressive acceleration in 3.2 seconds to 150 km / h to 250 km / h, which shows the range in which the electric motors provide assistance real. The characteristics of this hybrid supercar show clearly the circumstances in which different types of thrusters are relevant: the power to accelerate hard at low and medium speed and heat for high speeds. The intelligent design of Koenigsegg Direct Drive shows that the small Swedish manufacturer has fully retained its physics lesson.